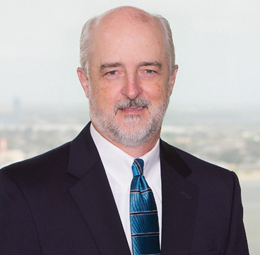 Gary Hemphill practices in the areas of admiralty litigation. His practice involves matters in personal injury, cargo, oil and energy, finance and FD&D. Prior to joining Phelps Dunbar, Mr. Hemphill was with the Terriberry, Carroll, & Yancey, L.L.P. law firm in New Orleans. Steel Warehouse/Abalone Shipping - Enforceability of Foreign Arbitration Clause in ocean bill of lading. Mitsui/Mira M/V - Enforceability of Foreign Forum Selection Clause. Texas Eastern Transmission/McMoRan Offshore - Recoverability of economic damages due to damaged offshore pipeline.